Most veterinarians do their best to care for their clients’ furry and feathered family members. However, they are human too and accidents happen. Pets cannot tell us how they are feeling or where it hurts, so this can delay diagnosis and treatment. In some cases, this can lead to a worsened medical condition or even death. The client will most likely be upset and file a complaint or lawsuit against you for malpractice. 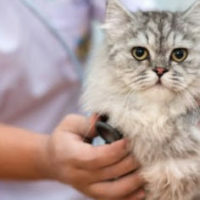 As a result, a veterinarian can face board sanctions. The Florida Board of Veterinary Medicine can impose various administrative actions against your license, such as reprimand, fine, education, restrictions, probation, suspension and revocation. Even if you seek legal help, you may not receive a favorable outcome, depending on the severity of the case. If you are reported to the board, you should do what you can to protect your license, especially if you are licensed in multiple states. By ignoring the situation, you could have all your licenses suspended or revoked, leaving you with no income. First, take note of where you are licensed to practice veterinary medicine. Many vets take the exam in multiple states so they can easily move from one place to another while continuing to practice, particularly in retirement. Therefore, if you are licensed in multiple states, let your lawyer know right away. You may have reporting obligations with those states. You may have to notify these states about your situation within a short time period, so don’t waste time. Don’t try to avoid informing the other states. If they find out before you tell them, you could face additional penalties. Once you receive a decision from the board, it’s time to face the music. If you have a solid case for an appeal, by all means pursue it. However, if there are no valid reasons to appeal, then accept your fate. If you need to pay a fine, then pay it ASAP. If you are sentenced to probation, get started right away. If you are licensed in another state, you may be able to practice in another state or ask for “supervised practice” while under probation. You should also expect the unexpected. Another state may impose additional penalties, so be prepared for that. Make sure to comply with all the laws and the penalties you will face and do so in a diligent manner. Procrastinating just makes matters worse. If you are facing some sort of discipline by the Florida Board of Veterinary Medicine, don’t ignore it. You could risk losing your license in other jurisdictions as well. Acting quickly is in your best interest. As a veterinarian, your license is your livelihood. 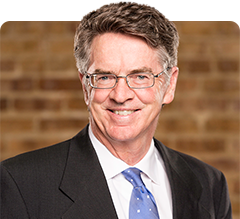 Seek legal help from The Law Offices of David P. Rankin, P.A. He has more than 30 years of experience helping Florida veterinarians and other licensed professionals hold on to their licenses. Call (813) 968-6633 or fill out the online form to schedule a consultation.